21st match of ICC Worldcup 2015 has been played between India and United Arab Emirates at WACA Ground, Perth. India with good all round performances won the match with 9 wickets. 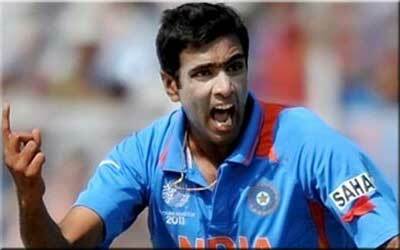 Ravichandran Ashwin declared man of the match for his 4 wickets in his 10 overs. Earlier, UAE won the toss and decided to bat first. UAE could not took advantage of winnng toss and most players struggled to stood in middle for long and lost wickets in regular interwals. UAE team all out scoring just 102 runs and managed to put very small total for India. Following very small total of 103 runs, India made confident start with S Dhawan and Rohit Sharma. Infact S Dhawan lost his wickt but, V Kohli joined with RG Sharma and chased the given total easily. RG Sharma made very well 57 runs and remained not out till end. Thus, India won the match by huge margins of 9 wickets over UAE.